WILLIAM SIECK. This prominent and wealthy German-American farmer of Bond County is located in La Grange Township on a fine farm, which his own untiring industry has gained for him. He was born in the province of Hanover, Germany, March 4, 1830. After attending the common schools of his native place, at the age of fourteen he commenced to learn the tailor's trade, to which he served an apprenticeship of four years. According to the custom of his country, Mr. Sieck worked for three years as a journeyman, and then resolved to come to America. The city of Baltimore was reached July 3, 1853, after which he proceeded to Washington, D. C., and there worked at his trade as a journeyman for about six years. Meanwhile he saved enough money to purchase a tailor shop in that city, a fact which spoke well for his thrift and economy. His money, amounting to some $30, which he had saved for a beginning in the New World, was stolen from him on the way over, and he was in a penniless condition when he reached these shores. The tailoring business which our subject conducted in Washington was very successful, and he had a large and lucrative trade, numbering among his patrons some of the best-dressed public men of the day Jefferson Davis, Stephen A. Douglas, and many senators, congressmen and members of the marine corps. Our subject was married in the city of Washington to Miss Catherine Kaiser, who was born in the province of Hesse, Germany, and came to America in 1851. They became the parents of six children, as follows: Louise, August, William J., Sabrina (Mrs. White), Henry and Charley. In 1880, our subject sold out his business in Washington and, coining West to Illinois, bought his present farm of three hundred and fifty-five acres, which he made his home. He has spent several thousand dollars in improvements here and has one of the finest farms in the county. His stock and horses bring him profitable returns, and he sells many hogs. His land, in the perfect state of cultivation to which he has brought it, yields large crops of grain. Our subject was reared a Lutheran and still belongs to that church, and has always liberally contributed to its support. In his political opinions, he is a Republican, having early decided that the principles enunciated by that party were most in accordance with his views. Although still cherishing a warm feeling for his native land, he has become thoroughly Americanized. His fellow-citizens have several times elected him Road Commissioner, and so popular is he with his neighbors that in 1888 he was offered the nomination of Representative, but he would not accept. Among the residents of the township none are more highly regarded for the sterling traits of character which make up a good citizen, kind neighbor and Christian man, than the original of this sketch. He has shown what one man can accomplish by hard work and close attention to whatever he may have in hand, and what man has done there is always a chance for man to do again. 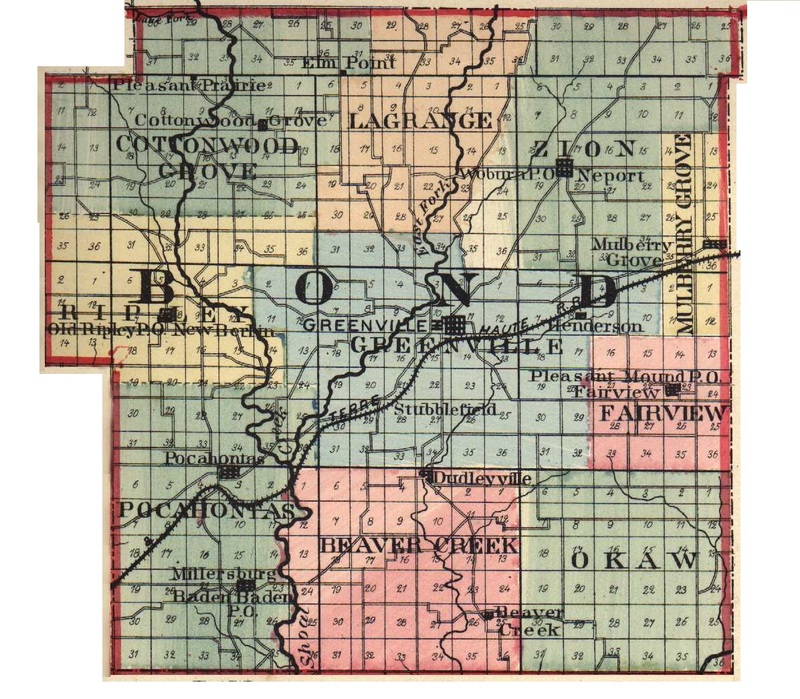 Extracted 20 Dec 2016 by Norma Hass from 1892 Portrait and Biographical Record of Montgomery and Bond Counties, Illinois, pages 354-356.